The Foundation, which is run by Bernie Banton's widow Karen Banton and her new partner Rod Smith, who also lost his wife to asbestos, wants to remind Australians to look out for the dangers. 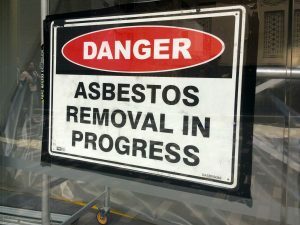 Inhalation of asbestos fibres can cause serious and fatal illnesses, including lung cancer, mesothelioma and asbestosis. “Bernie and I gave some thought to the idea of a foundation bearing his name, around the time of his diagnosis with mesothelioma, an asbestos-related cancer, in August 2007. Following Bernie’s initial diagnosis of asbestosis in 1999, he became a passionate fighter for justice on behalf of asbestos disease sufferers and their families. Bernie was also a man of great compassion. He felt it both humbling and an honour to effect positive change and inject hope for Australians everywhere, through his ‘never take no for an answer’ attitude,” says Karen Banton.